Addressing educational inequality has been a longstanding focus for educational research as well as for English education policy, yet the attainment gap between rich and poor remains constant (DfE, 2018). A difficulty with this focus on the ‘attainment gap’ – particularly in policy terms – is that attainment in standardised assessment tasks (SATs) has become a key way of measuring and understanding educational equality. This has resulted in government funding to identify solutions being focussed on ‘what works’ primarily in terms of raising attainment. It has been established that testing is a poor method for measuring learning (see for example Sellar, Thompson, & Rutowski, 2017) and is therefore an insufficient basis for understanding and responding to educational inequality. This approach draws attention away from the role of pedagogy and learners’ engagement with what has been termed ‘deep learning’ (Sawyer, 2005), which involves developing conceptual and integrated knowledge rather than sets of facts and procedures. Instead, it pushes the education profession towards quick-fix teaching interventions aimed at raising attainment in established tests, and a ‘teaching-to-the-test’ pedagogy. It ignores the need to develop forms of pedagogy that enable all learners to engage actively and meaningfully in learning which will enable them to participate fully in different aspects of a knowledge society. Within sociology of education research, there has been a focus on pedagogical relationships in schools, with particular attention paid to various forms of learner and social identities (see for example Reay, 2006); the exclusion and inclusion of students and their subject positioning (Youdell, 2006); and the effects of social structures or discourses on teachers’ perceptions and treatment of various groups of learners and learners’ (in relation to ‘race’, for instance, in Rollock, Gillborn, Vincent, & Ball, 2015). Yet little attention has been paid to the effects of wider social inequalities on learners’ engagement with deep learning and intellectual development. A small amount of research in Britain (Hempel-Jorgensen, 2018; Lupton & Hempel-Jorgensen, 2012; Hempel-Jorgensen, 2009) and a greater quantity in the US (see for example Waxman, Padron, & Lee, 2010) and Australia (Munns, Sawyer, & Cole, 2013) – where education systems and levels of inequality are comparable to Britain – suggest that children are experiencing significantly different forms of pedagogy according to their socio-economic status and social class. These different pedagogies have a significant impact on the kinds of knowledge that learners can develop. The ‘pedagogy of poverty’ experienced by learners in poverty is characterised by a focus on discipline, low intellectual engagement and a focus on attainment in tests. A study conducted in England shows how this can differ significantly in schools in which most children are not living in poverty (Hempel-Jorgensen, 2009). This evidence suggests that English schools with low-income intakes are far more vulnerable to the pressures of high-stakes testing than schools with higher-income intakes, as children living in poverty are known to have significantly lower prior attainment. Because of the lack of focus on the possibility of pedagogical inequality, it is not clear to what extent this inequality is evident in Britain. More research is urgently needed to uncover what could be an ignored but highly damaging form of inequality. Hempel‐Jorgensen, A., Cremin, T., Harris, D., & Chamberlain, L. (2018). Pedagogy for reading for pleasure in low socio‐economic primary schools: beyond ‘pedagogy of poverty’?. Literacy, 52(2), pp.86–94. Hempel‐Jorgensen, A. (2009). The construction of the ‘ideal pupil’ and pupils’ perceptions of ‘misbehaviour’ and discipline: Contrasting experiences from a low‐socio‐economic and a high‐socio‐economic primary school. British Journal of Sociology of Education, 30(4), pp.435–448. Lupton, R., & Hempel-Jorgensen, A. (2012). The importance of teaching: Pedagogical constraints and possibilities in working-class schools. Journal of Education Policy, 27(5), pp.601–620. Munns, G., Sawyer, W., & Cole, B. (eds. ), (2013). Exemplary teachers of students in poverty. Abingdon: Routledge. Reay, D. (2006). The zombie stalking English schools: Social class and educational inequality. British Journal of Educational Studies, 54(3), pp.288–307. Rollock, N., Gillborn, D., Vincent, C., & Ball, S. (2015). The Colour of Class: The educational strategies of the Black middle classes . London: Routledge. Sawyer, R. K. (ed. ), (2005). The Cambridge Handbook of the Learning Sciences. Cambridge: Cambridge University Press. Sellar, S., Thompson, G., & Rutkowski, D. (2017) The Global Education Race: Taking the measure of PISA and international testing. Edmonton, Alberta: Brush Education Inc.
Waxman, H.C., Padron, Y.N., & Lee, Y.H. (2010). Accelerating the Pedagogy of Poverty in Urban Schools: Unanticipated Consequences of the No Child Left Behind (NCLB) Act. ERS Spectrum,28(2), pp.37–43. Youdell, D. (2006). Impossible bodies, impossible selves: Exclusions and student subjectivities, volume 3. Springer Science & Business Media. 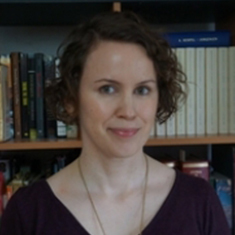 Dr Amelia Hempel-Jorgensen is a research fellow at the Open University (OU). Amelia has lead a programme of externally funded research at the OU over the past five years since completing her PhD at the UCL Institute of Education. Amelia’s research focusses on the relationship between pedagogy and educational inequality, both in terms of how pedagogical practices can contribute to creating inequalities and of how pedagogies can be more socially just and contribute to ameliorating inequality. This research builds on sociology of education, combining approaches from this area of educational research with sociocultural understandings of pedagogy and learning. It does this by focussing on children’s different experiences of pedagogies and the ways in which practices enable and constrain learners’ capacity to exercise learner agency and thereby engage in meaning-making and knowledge construction.